An ex-con takes murderous revenge against childhood friends whom he believes let him take the fall for a crime they committed together. Jake becomes the only one of the gang who goes to jail. Now an adult (Jack Kesy), Jake harbors a grudge toward his childhood buddies, as he believes he took the fall for the entire crime. When Jake emerges from prison after 15 years, he embarks on a quest for revenge. 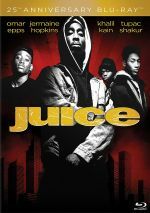 This leads him on a collision course with Sonny Carson (Tremaine “Trey Songz” Neverson), the gang’s former leader – and now a police detective. As I alluded at the start, thrillers dominate the direct-to-video genre – and 90 percent of them seem to star Bruce Willis or John Travolta. Brother lacks either of those Pulp Fiction alumni, but it doesn’t manage to escape from the cliché pitfalls that impact so many of its brethren. Brother comes with one unusual distinction, as it includes more “hyphenates” than usual. Neverson gained fame as a rapper, and co-stars China Anne McClain and Fetty Wap also earned success in the world of music. While this gives Brother an unusual twist, it also leaves the movie without the talent to ground it. Sure, Willis, Travolta and other “names” who appear in flicks like this rarely exert much effort, but their basic screen presence adds credibility. Without anyone of that sort, Brother fizzles. I won’t claim none of the actors boast talent, but if they do, they fail to reveal their charms. This becomes especially true for Neverson, as he presents a tremendously charisma-free lead. He tends to mumble his way through his role and never manages to create a character with any personality or presence. As our lead psychopath, Kesy fares somewhat better, but he can’t bring much depth to the part. Jake always feels like a stock, one-dimensional baddie without anything to make him memorable. The thin “plot” doesn’t help, as Brother sputters in pursuit of a compelling story line. It pursues a slew of tedious, cliché trends, none of which seem likely to add drama or tension. All of this adds up to a generic, forgettable stab at a thriller. With bland performances, a tiresome plot and a general lack of purpose, Brother delivers a weak effort. Blood Brother appears in an aspect ratio of approximately 1.85:1 on this Blu-ray Disc. Across the board, the transfer looked good. In terms of palette, Brother reflected Hollywood’s modern fascination with orange and teal. As tedious as that has become, the colors looked fine within the design parameters. Among extras, we get an audio commentary from director John Pogue and actor Trey Songz. Both sit together for this running, screen-specific discussion of story/characters, cast and performances, sets and locations, stunts and action, music, effects, editing and connected topics. While they cover a good array of subjects, Pogue and Songz fail to make this an especially compelling commentary. Though I can’t claim they do anything wrong, the track simply seems a little on the dull side. We get a decent overview but we don’t feel drawn into the discussion. “Scenes” looks at cast, sets and stunts. The last two domains add a little value, but much of the featurette just praises Songz, so don’t expect much substance. The disc opens with ads for Reprisal, 24 Hours to Live, Acts of Vengeance and Acts of Violence. No trailer for Brother appears here. 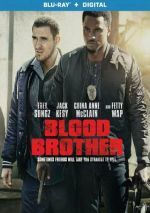 A stale attempt at a thriller, Blood Brother comes with no obvious positives. It suffers from a generic, uninventive quality that makes it a dull 85 minutes. The Blu-ray presents largely positive picture and audio along with a few supplements. Even as direct-to-video fare, Brother seems uninspiring.